As a professional in an ever-evolving world of technology, it is absolutely important to keep abreast of changes that occur within the standard operations of society and hiring processes. Not many realize that with the evolution of information systems, most hiring processes are initiated, if not fully executed, Online. Therefore, Hiring Managers and Executive Decision Makers are eliminating the number of resumes that they are scouring each week in order to streamline processes and maximize productivity in the job space, while keeping staffing down to a minimum. Let’s take a deeper look into this science and discover how to get passed all systems filters to, at least, be considered for the position that many are applying for. Did you know, that as this World of Technology evolves, so does the way the business world approaches Talent Acquisitions and Recruiting? Professionals aren’t just sitting back behind a desk glancing over resumes on a day-to-day basis. Time is valuable and successful corporations are always looking for ways to cut back on unnecessary spending. As earlier mentioned, many recruiters are more than likely sitting in front of a computer and pounding away at their keyboards, seeking out potential candidates that meet the specific needs of an employer. Whether it is a proprietary system, hosted on internal servers, or through a major job search platform, hiring personnel are able to search out the perfect candidate based on keywords searches. Often, more time is placed in discovering which keywords directly meet those needs of an employer than sifting through a plethora of candidates that do not meet them. As many job search sites and resume writing services will point out, there is an algorithm in tact that allows recruiters to search for who they want and to avoid those that they do not. This system is dubbed “ATS,” a shortened version of “Applicant Tracking System;” and it is what will make or break a candidate’s forge to the top of the figurative totem pole. You see, per position a company seeks to fulfill, an average of 250 to 300 candidates are competing to be seen and invited for interview. Unfortunately for most, they will never be seen. The “select few” will be invited to join the hiring process and asked to report for interview. Believe it or not, but many of the top professionals applying per position will actually be overlooked. Hence, these awesome candidates might never have their chance at a dream position and will remain in their current until they finally “hack” the system. So, how do you hack this system? How do you rise to the top and become recognized as “cream of the crop?” This is simple. Treat your career path as a brand, while showcasing brandYOU through the use of Internet Marketing techniques to enhance your presence in tracking systems. While ATS works slightly differently than Search Engine Optimization (SEO), the core concepts are totally the same! Similar to SEO, ATS seeks out applicants based on specific keywords. The more keywords to match word-for-word, the better! The applicant will score a higher position within this algorithm. Unlike SEO, these keywords must be presented exactly as described by qualifying terms, as opposed to being strategized for conversational, organic placement and tone. Industry-specific terminology is highly encouraged. Resumes are expected to be matter of fact, while engaging readers in a professional and narrative description of an applicant’s work history. This means that a phrase, such as “preparation of slideshows” would hold little weight, if any, to “slideshow preparation.” It gets even more complex. Because ATS seeks applicant achievement over duty, it would be wise to include the latter preceded by a strong action verb and a powerful adjective. Whereas one may include, “Engaged in slideshow preparation” on their resume, another may include “Developed and executed highly professional slideshow preparations.” Not only did the second choice include powerful descriptors, but it also showed process, ability and to what quality. It also showed that it happened on more than one occasion; and therefore, it was not a fluke! While both verbiages may find themselves ranking higher within ATS than those without optimization, the achievement-based resume will soar much higher. Once these resumes reach the hands of the talent recruiters, which do you think will receive further consideration? Keeping your language brief within a resume writing is the objective, but the manner in which this is done, is also important. In marketing yourself, you have to sell your achievements by showing how even your performance of duties have made a difference. Your resume must flow smoothly in keeping a reader engaged. As a matter of fact, your resume must flow smoothly, because your resume will merely be skimmed the first few times that it is read. Keeping content mapped out and consistent, the layout must reflect what the body is trying to convey to your future employer. Structure is equally important to the Applicant Tracking System. Professional profiles may or may not be read with the ATS (The depends on the complexity of the engine being used. ), but they must be present when distributing your resume to employers that do get to see your resume. Within each resume, it is highly recommended that one includes a “Competencies Section,” with word choices that must completely be spelled out, at least once prior to abbreviation throughout the resume. 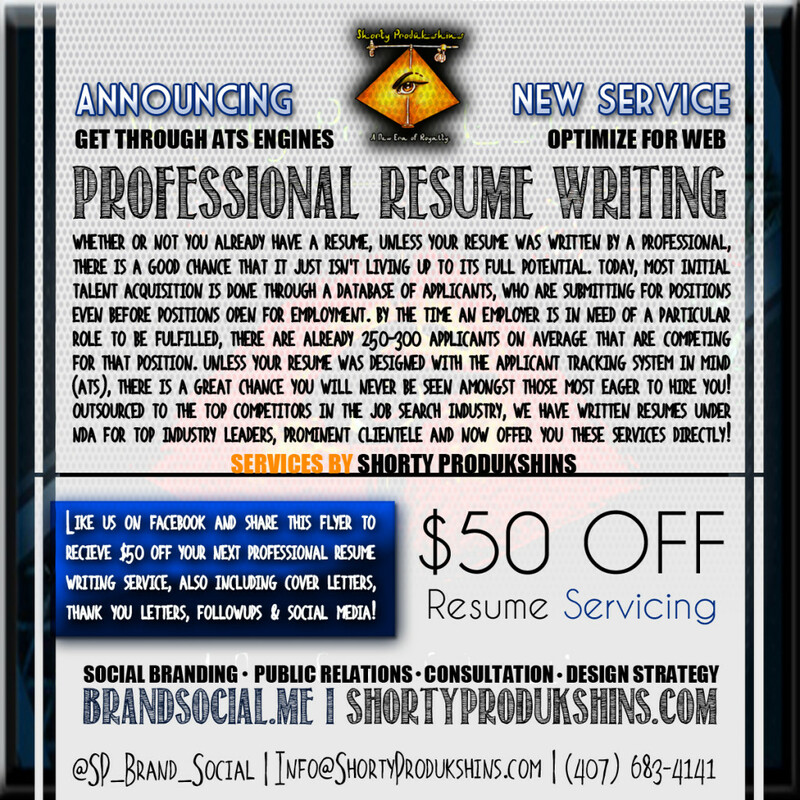 This section also acts as a meta tagged “keywords” section within SEO to enhance your resumes overall potential. While many include these keywords into a section described as “Areas of Expertise,” one merely should feel comfortable in their ability to complete duties found within. In physical hiring processes, a hiring manager is opt to starting at the expertise section, scan through previous employers, read your full education level and then check out the rest of the resume. Sometimes, they go directly to education, skipping experience, altogether, and continue at your affiliations and technical proficiencies. If they are intrigued, they will return to your biography, and then they will read to see if you are worthy of the position they are moved to interview you for. You want to draw eyes to each section of your resume and encourage them to actually read what is written there. Avoid typos and formatting errors. They aren’t read by ATS and can negatively sway the hiring manager to dropping your resume into the garbage bin. Speaking of garbage bin, industry rules have changed. You do not need to have a references section in your resume. You can drop that in the trash. Because many people lie about references and have others lie for them, it has become an unnecessary part of the resume process. It also takes up space that you can be using for something more valuable. It is wise, however, to keep a resume sheet on hand if your future employer requests one. This also goes for project sheets, which outline project histories, portfolio pieces and publications, unless you have a Curriculum Vitae (CV) resume type. In creating proper spacing, keeping your resume to a proper link and utilizing negative space, one must consider level of hierarchy. While in ATS, there is no limit to how much space is being used. Understand, if you make it through the computerized process, a warm-blooded soul will be holding your resume in their hands. Length must be made appropriate to your level of hierarchy on the corporate ladder. It is commonplace that professionals who have held tenure at a job site, entry-level personnel and students may only detail their resume to one page. However, there are some entry level personnel who hold hands with professionals of all industries that will find two-pages tells a clearer story of who they are, whether they have summarized this or are providing quality content in enhancing their resume to meet specific job descriptions. Hiring managers find it acceptable for medical personnel, executives and IT professionals to submit resumes at three to four pages. Military personnel, medical doctors and professionals in the scientific community are expected to have four or more pages of resume material. This is where special resumes are created, distinctly prepared by federal standards and in CV-structured layouts. Most resumes only include the last 10-12 years to compensate for age-stereotyping hindrances in the hiring process. An undated summary statement may be italicized below to show evidence of a career journey and previous experience in correlation to older-yet-relevant positions held. Remember to present yourself how you want to be perceived. This is Branding 101. While most resumes are lacking a graphic appeal, many new designs have found ways to give resumes a persona. After all, when looking at a resume, one becomes familiarized with the person that they are potentially hiring. Your layout will tell a hiring manager your level of expertise within the corporate machine. Graphic elements can hint at an “out-of-the-box” or innovative personality, highlighting your ability for creativity. The problem, however, is that ATS often has a hard time reading graphic resumes. And, while there are ways to get around this issue, most creative resumes suffer because some element or another is lacking in the process. Only a select few within the resume-writing world know how to get around this problem and can optimize your resume for discover in ATS engines. Finally, in marketing yourself through a resume design, one must be aware of engine capabilities. While .doc extensions aren’t often looked at as a “finished project” in a world, where creating a .pdf document helps corporations protect against security and fraud while accepted as official and polished, .doc extensions are the most acceptable form of submission in this day. This document type provides ATS with an easier means of extracting your personal information than does .pdf, .rtf, .txt and even .docx. Being mindful of your audience, keep both .pdf documents and .doc on hand at all times. After all, you may be submitting your resume directly to a decisionmaker and should plot to appear as polished as possible. In the end, it all comes down to one thing… brandYOU. How are you marketing yourself? What observation of your character would you like them to experience? Stay mindful of ATS when submitting resumes to corporate engines and job search sites; and remember, I am only a messenger of what experts have analyzed over the years and through experience. Good luck! This entry was posted in The Vault. | 2003 to 2016, Uncategorized and tagged 2015 June, advice, Announcements, Applicant Tracking Systems, Atlanta, ATS, Business Entities, Career Opportunities, Careers, content writing, Design, ELEMENTS, Industry Advice, INTERNET MARKETING 101, Internet Marketing Los Angeles, Internet Marketing Orlando, Internet Marketing Philadelphia, Internet Marketing Philly, Internet Marketing Pittsburgh, job search, Jobs, June 2015, Knowledge, Local Marketing, Memphis, Miami, monster, Must See, New Releases, Orlando, Orlando Business, Orlando Business News, Philadelphia, Philly, Pittsburgh, Products, professional writing, resume service, resume writing, Services, Small Business, Specials, Text on June 19, 2015 by jessicanabraham. Sabir Bey shouts out Shorty Produkshins and Jessica N. Abraham on The Sabir Bey Show on LA Talk Live. Shorty Produkshins is the official Social Branding team for The Sabir Bey Show and Sabir Bey, himself. “The Sabir Bey Show is ‘Pure EDU-TAINMENT’ tackling issues within the community and on the topics of Law, History, Culture, Politics, Religion, Society, and Health by incorporating TRUE Hip Hop and Urban Music in bringing together a full circle of understanding with current culture and society conflicts. The Sabir Bey Show includes guest appearances by award-winning celebrities and respected elders of the Moorish Nation and Pan Africanism.” The Sabir Bey Show has the mission of bringing “Pure Edu-tainment” to the lives of many by introducing truths, new concepts, currents events and History through Entertainment. Shorty Produkshins is an Online Promotions Company, specializing in Social Branding and Event Marketing via Advanced Internet Marketing and Search Engine Optimization (SEO) tactic. We have been in service for more than ten years, servicing Orlando, Pittsburgh, Los Angeles, Detroit, Memphis, Miami, Las Vegas and the World! Shorty Produkshins works with a variety of businesses including, but not limited to, the music world and fashion industries, athletics, social networks, non-profit organizations, small businesses, events and venues in providing the ultimate interactive experience in connecting their brand with specific target audiences. Shorty Produkshins executes the practices of Social Branding and Event Marketing in taking a brand to the next level through social platforms, interactive tools, optimization and trade secret techniques in creating a strong web presence for each particular brand and subsidiarial trademark. Shorty Produkshins actively connects current and potential consumers with a dedicated brand loyalty and awareness that will lead to stronger demands for that brand, while ensuring higher ROIs from their associated product lines. This entry was posted in The Vault. | 2003 to 2016 and tagged 2014 January, Brand Story, Contact Shorty Produkshins, EnvisionedTV, Graphic Design, Hip Hop, Internet Marketing Blog, Internet Marketing Los Angeles, Internet Marketing News, Internet Marketing Orlando, Internet Marketing Philadelphia, Internet Marketing Philly, Internet Marketing Pittsburgh, January 2014, Jessica N. Abraham, Knowledge, LA Talk Live, Las Vegas, Live, Los Angeles, Must See, Mz Shorty P, New Releases, Philadelphia, Philly, Pitch, Pittsburgh, Press Release, Product Review, Products, Punxsutawney, Sabir Bey, Services, Shorty Produkshins History, Social Media, Story Telling, Tampa, Teamwork, The Sabir Bey Show, TV Show, Viral Marketing on January 18, 2014 by jessicanabraham. New Social Network: “Promoting Health & Wellness through Education!” (Video). Set for Beta Launch in Mid-September, Kenor Internationalgives the Health & Wellness community something to be proud about. Since 1999, Kenor International has been “Promoting Health & Wellness through Education” and bringing hope to the lives of many patients that are told “hope is simply not there.” Kenor’s staff finds this totally unacceptable. It is the mission of this “health information brokerage company” to aid in the self-restoration process of those battling “so-called” incurable illnesses and degenerative diseases. Known Internationally for his successful career in Functional Medicine, Dr. Keny F. Bastien (President and Founder of Kenor International) has decided to expand his practice to multiple regions, including the Internet, to continue this mission, while connecting offices in St. Lucia, Orlando (Altamonte Springs Area), Peru and other various locations. As we’re seeing a trend in niche Social Networks amongst successful brands, we realize that many are successful and many are not. One niche that has been overlooked, however, is the Health & Wellness demographic. Interestingly enough, the most successful of these niche communities, related to Health and Wellness, are actually very behind the times. And, a lot of these sites carry recycled information that has clearly been “copy/pasted,” while their branding has been implemented poorly, appearing generic to users. This leads to networks with a giant database with only a handful of active users. Furthermore, those users do not visit the site on a daily or even weekly basis! The design of KenorInternational.me is sophisticated and yet caters to the modern day needs of “on-the-go” consumers. Social Media is able to be shared from within the site, including video, photos, and audio, while broadcasting live streams on KenorLive from time to time! KenorLive is available even when no live streams are available through videos of previous broadcasts and clips of Kenor-related information. Here, you are able to catch up on news, educational information, discussions, chats, webinars and more from Kenor International. And, you are also rest assured that “you are not alone,” at such a trying time, with the support of “family,” who are going through similar symptoms, and from those have been cured of those symptoms. With the site in Beta at early release, “early adopters” will see changes, as they occur, in front of their eyes. They will be able to voice their opinions and give suggestions as to the sites overall direction. This is a “family thing,” and Kenor International (An A+ Accredited Better Business Bureau Affiliate) strives to cater to family! Overtime, the site will add additional products and features. The site will gain users through Viral and Word of Mouth efforts. Organic Search will also benefit the sites placement in search engines through the uploads and consumption of Social Media Content. Without giving much information on the Internet Marketing tactics of Kenor International, one must be on the lookout, as accounts will be handled through Shorty Produkshins, a company known for their Social Branding and Advanced Internet Marketing Strategy. Are you a fan of Natural Healing and Healthy Living? Request to be invited to the pre-release of KenorInternational.me today! This entry was posted in The Vault. | 2003 to 2016 and tagged 2013 September, Altamonte Springs, Announcements, Blogging, Brand Story, Business Entities, Dr. Keny F. Bastien, Events, Free, Health and Wellness, Health Education, Internet Marketing Blog, Internet Marketing News, Internet Marketing Orlando, Interviews, Jessica N. Abraham, Kenor International, KenorLiveTV, Knowledge, Live, Local Marketing, Mobile Commerce, Mobile Marketing, Multi-Platform Delivery, Must See, New Releases, Offices, Orlando, Orlando Business, Orlando Business News, Press Release, Rising Stars, Small Business, Social Media, Social Network, St. Luc, St. Lucia, Story Telling, Storytelling, subsidiaries, Testimonial, The Examiner, TV Show, Video, Viral Marketing, Webinar on September 7, 2013 by jessicanabraham. Find Inspiration. — A motivational service and round the clock coaching for professionals. Feel like you just want to give up? Like you want to crawl under a rock and hide from the world? Have you ever wanted to just end everything? I have been there. Jessica N. Abraham is a professional in the worlds of Internet Marketing and Entertainment Business. She is also a single mother. Life just isn’t always easy… As a matter of fact, it almost never is. She is someone who can sympathize. From “zero to hero and back again,” Jessica has gone through some very difficult and scarring situations that have gotten her to the mindset that the only one you can depend on is yourself. And at times, you are on your own to do that. So, let her help! Things aren’t always how they seem. Likewise, we are often faced with situations that we just can’t control. We can make the situation, no matter how terrible, work to our best benefit. We can use the bad times as a tool for the good and as practice until we reach our goals. The quicker this understanding can be instilled into your life, the faster you can go from “zero to hero” each time you reach rock bottom! Because if your destiny lies in greatness, you will make that journey a million times over before reaching the top! The top is in your grasp. The impossible is possible. Call now and be inspired! This entry was posted in The Vault. | 2003 to 2016 and tagged 2013 March, advice, Counsel, Industry Advice, Jessica N. Abraham, Knowledge, Live, New Releases, Products on March 17, 2013 by jessicanabraham. The Sabir Bey Show’s Social Presence may just become the next “go to” for knowledge and Hip Hop. The Sabir Bey Show finds itself a Social Presence! Sabir Bey and LA Talk Live present The Sabir Bey Show each and every Tuesday at 3:00 PM pst (6:00 PM est) on LATalkLive.com. The Sabir Bey Show airs for two hours and guest stars a plethora of celebrities, community activists and the lovely co-host, Tasha Auset. The Sabir Bey Show is a Hip Hop infused talk show, providing “Pure Edu-tainment” in the homes of viewers around the world! The show, itself, covers a wide variety of topics, including but not limited to: society, culture, the law, history, current events, health and — of course– hip hop! The Sabir Bey Show now offers more than a weekly television show. The Sabir Bey Show is currently in the works of creating an all new Social Network for the program itself! The site is set to include discussions, videos, lectures, classes, pictures, chat room, web store, health information, blogs, new releases and more! The site will feature the standard features of a social network with a niche brand design and will also include elements of what could be classified as a “Tru Skool” World Star Hiphop, meaning the premise of the videos and content included will surround REAL hip hop and REAL life and teachings! This entry was posted in The Vault. | 2003 to 2016 and tagged 2013 March, Free, Hip Hop, Industry Advice, Interviews, Knowledge, Live, Must See, New Releases, Press Release, Social Network, Storytelling, The Sabir Bey Show, TV Show, Webinar on March 3, 2013 by jessicanabraham.